The Farmhouse Project began as a country escape for two city gents who wanted to tackle the renovation of an old farmhouse in Upstate, NY. The Farmhouse Project offers a lifestyle blog, featuring DIY projects, a home décor shop and so much more. 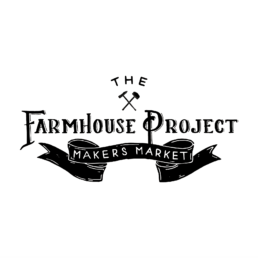 Just up the road is The Barn on Hubbard, a historic barn turned rustic venue where The Farmhouse Project will host a one-of-a-kind Makers Market of carefully curated goods from local artisans throughout the region.